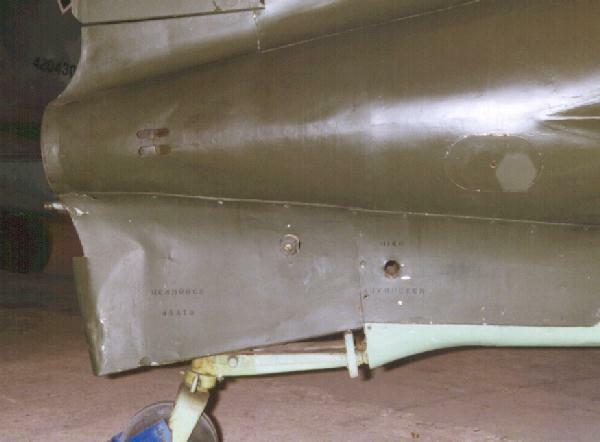 Detail view of the right rear lower fuselage. The tail wheel cover has quite a dent, but the rest of the airframe appears to be in good condition. Note the sharp-edged camouflage.